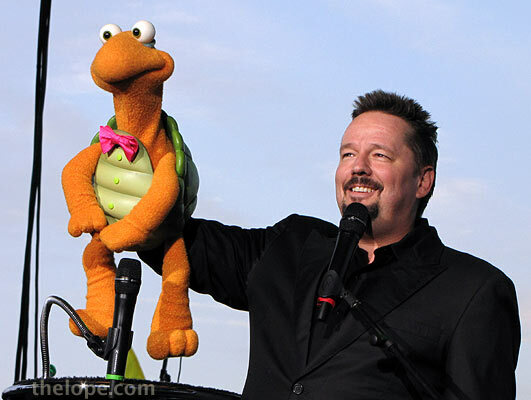 Ventriloquist/impressionist/singer Terry Fator was the grandstand act at the 2010 Kansas State Fair in Hutchinson Monday night. 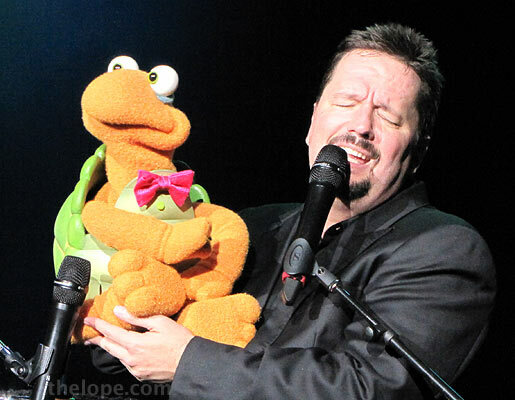 Here he is with puppet Winston the Impersonating Turtle. I don't watch much TV but I'm told Fator gained fame by winning a show called America's Got Talent. 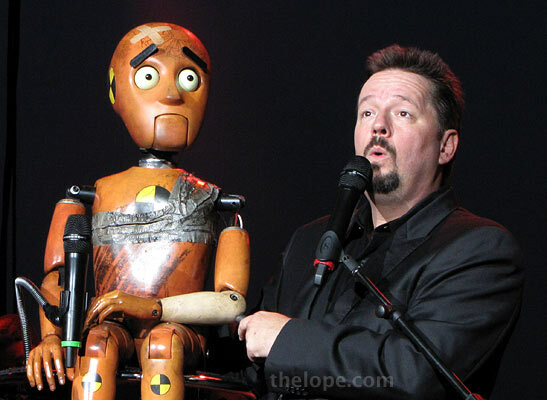 Puppet Walter T. Airedale appears to regard Fator's girlfriend and assistant, Taylor Dew (formerly Taylor Makakoa). 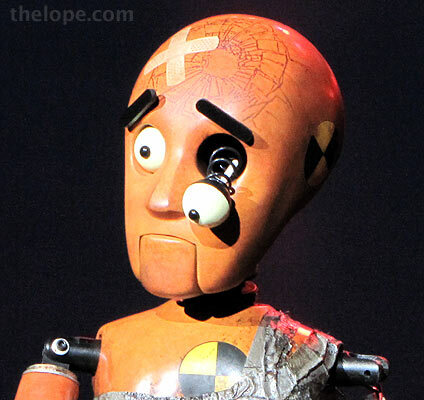 Wrex is a crash test dummy puppet who has a car radio lodged in his spleen. Of course this made for a variety of songs. Wrex gets his eye put out near the end of his segment. 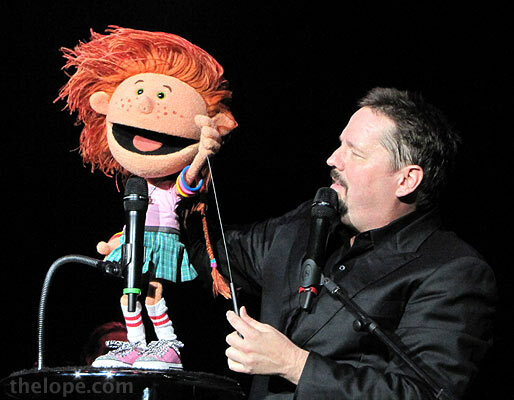 This puppet is called Julias. Fator impersonates Michael Jackson, who needs country singing advice from Walter T. Airedale. 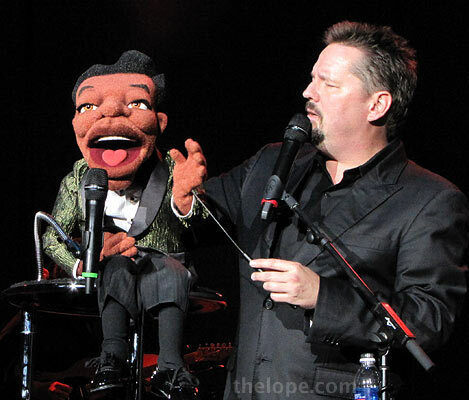 Puppet Emma Taylor sings "At Last" as Etta James. Duggie Scott Walker is the permanently stoned annoying neighbor. Vikki the Cougar is exactly what the name and appearance suggest. Vikki hisses at Taylor Dew, who wore different costumes each time she appeared. 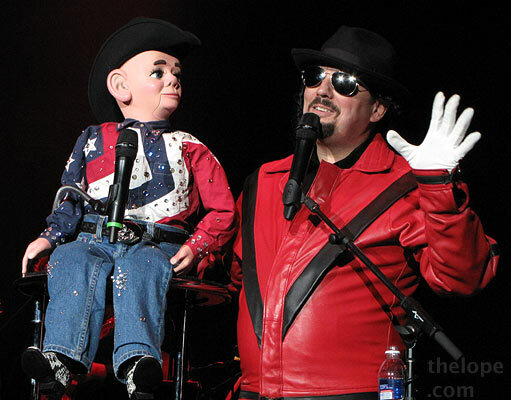 In what I found to be the most amusing segment, Fator chose an audience member named Doug to dress in a Cher costume complete with remote controlled mask. Fator, as Sonny, sang both parts on "I Got You Babe." Doug is de-Chered with help from Dew. Maynard Thomkins finds a place to rest his head after a brief reappearance. For the finale, Fator brought out Winston to sing "What a Wonderful World" as Kermit the Frog while Fator sang as Louis Armstrong. 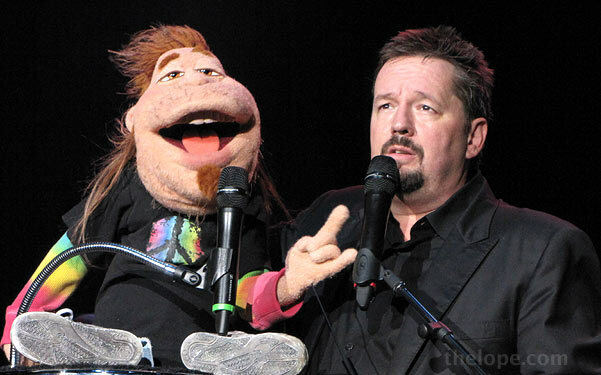 The weird thing is that even though I know these are puppets, I kept watching them as if they were the singers. The Kansas State Fair continues through Sunday, September 19.